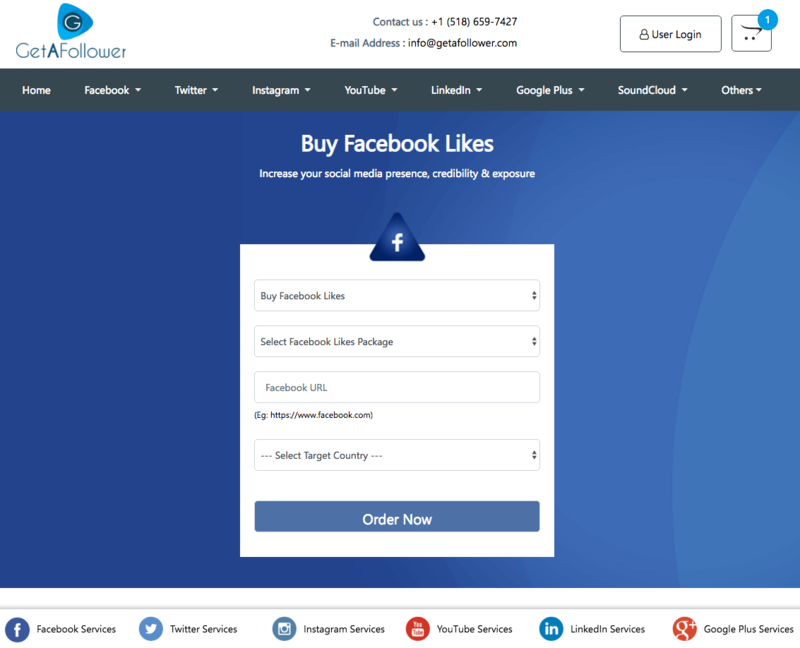 GetAFollower provides a very wide range of Facebook likes services, offering users packages from 100 to 100,000 likes - there’s a package that’s just right for everyone. These likes are reported by them to come from actual Facebook users and to be of good quality. The company backs these plans with some admirable refund and replacement guarantees that you can use in case of issues. Their customer support team was very responsive and accommodating to our questions. We definitely recommend giving GetAFollower a try if you want to quickly popularize your Facebook page and solidify your presence on the platform. GetAFollower is social media promotions company founded in 2010. They provide different Facebook likes services, including page likes, post likes, and even comment likes. The company also provides Facebook post comments, followers, video views, and reactions. 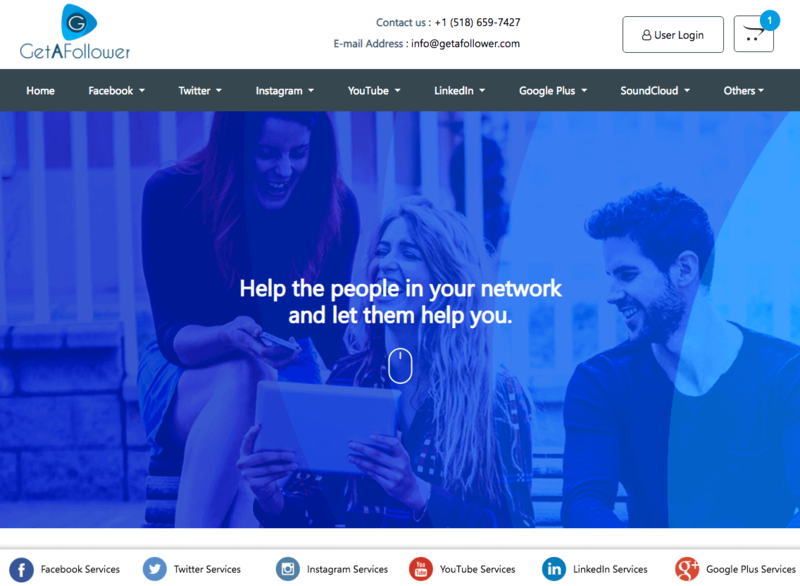 The site claims to be a one-stop shop for your social media needs, delivering services for other platforms like YouTube, Twitter, and Instagram. They say their methods of gaining likes are fast and secure, letting you grow your Facebook popularity at a more natural pace. GetAFollower has different types of Facebook likes services, including page likes, post likes, and comment likes. Their page likes plans range from 100 to 100,000 likes. Delivery time takes between one and 15 days to complete. To place your order, just provide your Facebook page’s URL. You can pay using either Paypal or Bitcoin. We reviewed the terms and conditions sections on the GetAFollower website and made a few comments on their status below. To find out more details on these, then please toggle the sections to see what we thought! GetAFollower states in their Terms of Service that the number of days for delivery stated on their plans are just estimates. They do not guarantee that the likes will always be delivered on schedule. The site reminds that such delays in delivery do not affect your eligibility for refunds. They also state that they may over-deliver likes in some instances. This over-delivery is not a standard part of their service and is provided only as a bonus. The additional likes are not covered by GetAFollower’s retention warranty and will not be replaced if they drop. The company states that they collect both personal and website usage information from tracking tools like cookies. They assure that this data is stored securely using both physical and digital means. The site states that they do not share your information with third parties, except in certain circumstances like requests made by government agencies. GetAFollower also reminds that they might sometimes collect additional personal information from you. This includes emails, online queries, and conversations with their staff. The site guarantees that this information is only used for improving their services. GetAFollower offers a 30-day refund guarantee for all of its services in case of delivery failures or dissatisfaction with their service. You can also get refunds if your payment details are used to purchase services from them without your knowledge. Contact their customer support staff to request a refund. The company offers a variable retention or replacement warranty, depending on the service. For Facebook likes, they will provide replacements for up to a month after your purchase. Contact their customer support team to get refills. 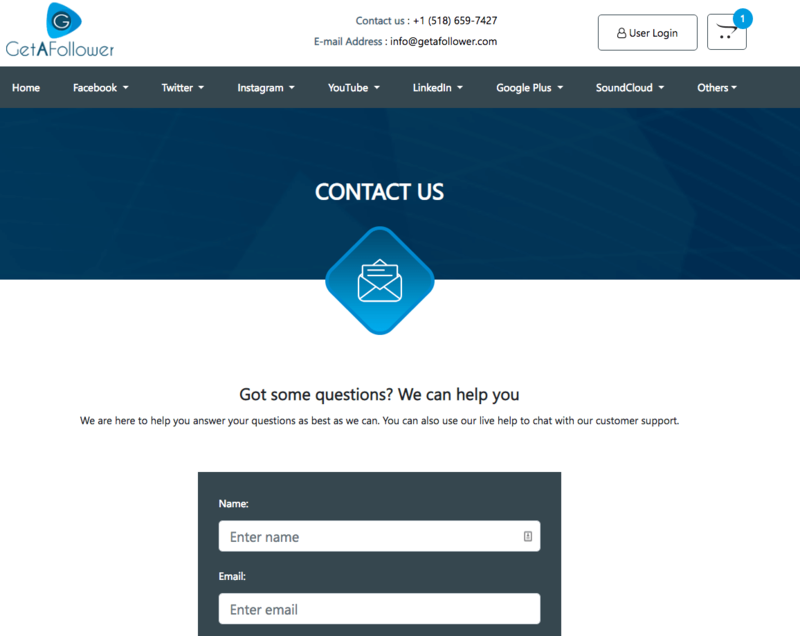 GetAFollower uses a live chat panel as their main means of customer support. Their agents responded quickly to our questions and provided some useful assistance. The live chat is not constantly staffed, but you can still contact them even at night. They have an on-site contact form and email address (info@getafollower.com) for sending non-urgent messages. The site is also one of the few providers that have a phone number (+1 (518) 659-7427) you can call for support. We really like the diverse Facebook like services that GetAFollower offers. Their page likes service has multiple packages that will easily suit your needs. The high quality of the likes they deliver makes the service worthwhile, despite their higher prices. We definitely recommend them if you want to give your Facebook page a solid boost. 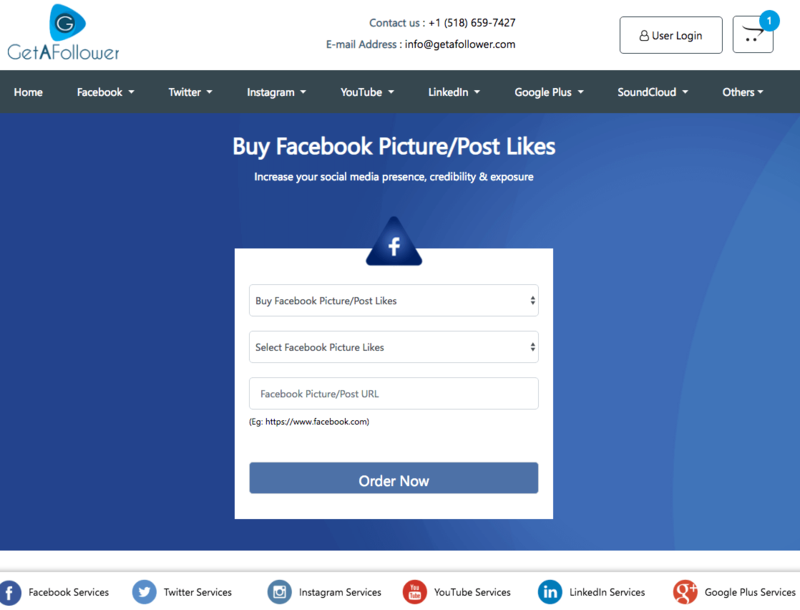 GetAFollower delivers the Facebook likes you purchase within one to 15 days, depending on the size of the package. Their customer support agents say that you will be able to see new likes come in within 24 to 72 hours after your purchase. According to the company’s customer support agents, all of the likes they deliver come from real accounts. This means that you are getting high-quality likes that will make your page look more popular. The agent assures that your followers will not know that you bought your likes. We will update this once we test and verify. Their support staff says that, since they use marketing campaigns to promote your page, the likes you get come from people who are interested in your page. They said that these people will not be lost quickly. In case of drops, they offer a replacement warranty for up to a month after purchase. We are pleased to report that GetAFollower turned out to be an excellent Facebook likes provider. The number of packages they offer means that you can easily find one that will fit your needs. Their likes are of good quality and the accounts that these come from look like actual users. This lets us easily forgive their higher-than-average pricing. Their customer support was also excellent, with their agents responding to us quickly. The refund guarantee and replacement warranty were fairly good and will give you a nice cushion should you lose any. If you are looking for an effective way to boost the popularity of your page and attract more followers, we definitely recommend getting your Facebook likes from GetAFollower. You will surely get good value for your money. Pay them a visit by clicking the button below. They may be a bit pricy, but the way they get likes delivered on your status is just awesome. Go viral with them!